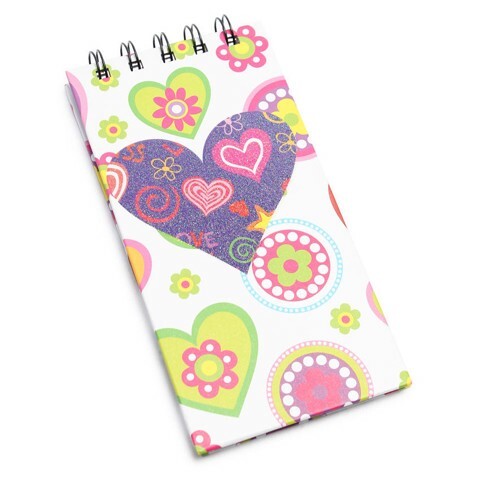 Pad Jotter Spiral 60Shts 4Asst. 60gsm Paper l 10Micron Coated. 4 Assorted Designs: Hat and Moustache | Hearts | Moustache | Love. Paper | Wire. 0 Packaging: OPP Bag with Header Card.